Is it difficult to make your own An Network and what do you need for that? It may be pretty easy if you want to use some white label solutions. But it will be very hard to fully develop an ad network from scratch. 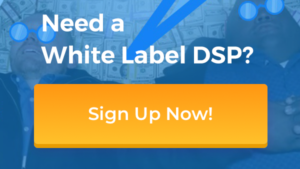 To get an idea of the second approach see our article How to make a DSP and double the efforts, because for an Ad Network you’ll also have to make self-serve SSPs integration available. But there is an easy way. There are some out-of-the-box solutions to reduce your costs and your time losses. To start an ad network you’ll need a website and the actual ad network software. There is no need for a too complicated website. You need no more than a one-page landing that is going to persuade your visitors to use your Ad Network for their needs. WordPress is perfectly OK to start with. There are a bunch of even free templates, that you may use with just a bit of customization. So to establish your landing you have to buy hosting (you may use a free one, but it is usually too slow and has a lot of restrictions) and a domain. Of course you can also use a free one, but custom domain is a lot more trustworthy. And trustworthiness plays a big part, since people are going to pay you money. As soon as you get your landing page done, you can start your second phase of building an ad network. The actual ad network. That sounds more complicated than it is. 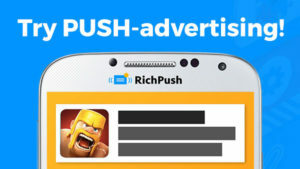 To make an ad network you only need to sign up to AdMachine, activate your account and tune your future ad network. 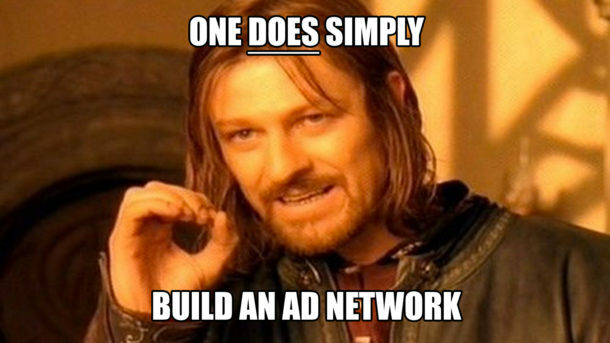 It usually takes about 15-30 minutes and your ad network is created. You don’t have to make any serious development. AdMachine already has a ready-to-use personal advertisers accounts and it gives you an ability to customize logo, domain and design. It’s a fully functional Ad Network, so you can add new advertisers as well as new publishers by yourself. There are 50+ major SSPs for you to resell traffic, but you can also ask customer support to add any SSPs you need.